Price of pig leaped again after dropping for a few months making breeders feel eager to raise more pigs for huge profit in Tet holidays ( the Lunar New New Year). however, experts warned breeders to be cautious to avoid risks. At present, price of pig fluctuate from VND51,000 to VND55,000 per kilogram doubling the same period last year; accordingly, breeders in the southern province of Dong Nai’s Thong Nhat, Trang Bom, Cam My and Xuan Loc districts are delighted as they had to suffer loss when pork price fell. However, many of them ran up huge debts. 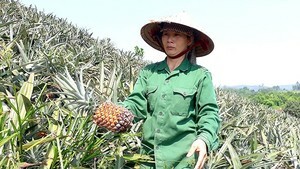 Farmer Nguyen Minh Hoang in Thong Nhat said that breeders are broke after long time of low price. Breeders hope high price of pork will maintain till Tet holiday to make a comeback. 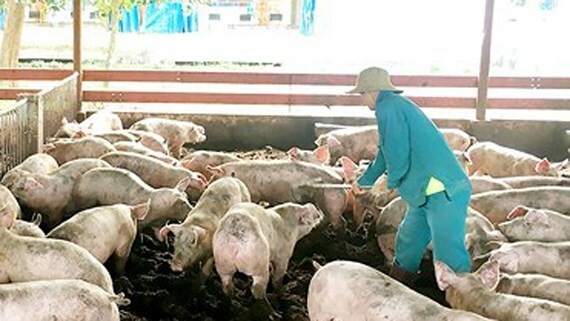 The pig farm owner Nguyen Cuong said that he realizes that price of pork will surge in September in Lunar Calendar because of buoyant demand. He added he was saddled with debt last time; yet, thanks to high price in recent months, he earned profit to pay debt. Therefore, he hopes to have thriving Tet holidays after he sells 2,000 pigs. Chairman of Dong Nai Pig Husbandry Association Nguyen Tri Cong said that pig price has continuously gone up to VND50,000 a kilogram. Subsequently, farmers raise more 2 million pigs. Nevertheless, the association warned people not to raise more but update the market information and not to speculate higher price. Especially, breeders should cooperate with others to reduce price to compete with imported pork and with big farms.